Australian audiences can see John Mellencamp during a seven-date tour of Australia in February 2016, supported by a special guest, singer and songwriter Jewel and country music artist Carlene Carter. Tickets go on sale at 10am (local time) on Friday October 23 for performances in Perth, Melbourne, Sydney, Brisbane, Adelaide, Canberra and the Hunter Valley. Indiana-born John Mellencamp burst on to the Australian scene in 1979 with his first hit, "I Need a Lover." His enduring success has continued throughout 40 years of playing and touring and Mellencamp is well known to Aussie audiences for songs, such as "Jack & Diane," "Paper in Fire," "Small Town," "Cherry Bomb" and "R.O.C.K in the USA." Indeed, Australia has played an important role in Mellencamp’s success, with seven top 20 hits and 10 top 20 albums climbing the local charts. He has sold more than 1.5 million albums in Australia and his single "I Need A Lover" was top five in the local charts – the best result in the world – a fact he acknowledged in his last tour Down Under in 2008. Two albums, Scarecrow (1985) and Lonesome Jubilee (1987), have gone five-times platinum in Australia, while The Best That I Could Do: 1978-1988 is triple platinum. Mellencamp also created the benefit concert Farm Aid, with fellow music icons Willie Nelson and Neil Young. The fundraiser for American farmers recently celebrated its 30th anniversary. 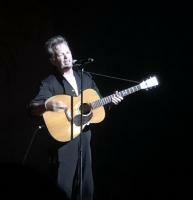 Mellencamp recently completed the 80-date Plain Spoken tour of North America, earning rave reviews for what was described as “one of the most electrifying shows in the business”, blending a catalogue of powerful anthems and popular hits. As one Australian reviewer summed it up in 2008: “Mellencamp’s songs are iconic enough to do all the talking, and performing, for him”. His tour was a “perfectly selected, weighted and delivered set from an undeniable rock legend”. Mellencamp will be supported by Alaskan singer-songwriter Jewel, performing songs from her extensive catalogue and latest release Picking Up the Pieces. Since her debut Pieces of You in 1995 which featured the massive hit "Who Will Save your Soul," Jewel has established herself as one of the most successful musicians of her generation with powerful mentors including Bob Dylan, Merle Haggard and Neil Young. A storyteller at heart, Jewel also has written her memoir, Never Broken, authored two children’s books, and a pair of successful children’s albums. Tickets for the entire tour will go on sale to the public on Friday, October 23rd at 10 AM Local Venue Time. Mellencamp.com Pre-Sale tickets will go on sale Tuesday, October 20th at 10 AM Local Venue Time. Premium Ticket Packages will be available in both the Pre-Sale and Public sale. 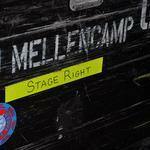 Please watch the TOUR page of Mellencamp.com for Pre-Sale and Public ticket sale updates. The tour promoter Dainty Group's website will, also, be a great source of ticket and package links and details. Premium Ticket Packages: Watch Mellencamp.com's TOUR page for details on premium ticket packages offered for shows on the Australian tour. It was recently announced that John Mellencamp is among the A-list contenders nominated for the 2016 Class for the Songwriters Hall of Fame. Winners will be inducted June in New York City. Eligible members have until Dec. 11 to submit their votes for three non-performing nominees, two performing nominees and one deceased nominee. Not a member? To be able to vote in the election please join HERE. Read the complete list of nominees HERE. We are pleased to announce the first one-man show at the prestigious ACA Galleries in New York City, John Mellencamp: The Isolation of Mister Exhibition runs from October 22nd through to December 19, 2015. The list of giants of American art whose careers were established or advanced by ACA Galleries would cover several pages. They are artists who have had something to say; a social conscience to express; a radical concept of art to advocate. Mellencamp found his visual voice in Expressionism. The German Expressionism of the early twentieth century, with its anguish over human brutality and corruption, spoke to Mellencamp’s deep feelings about social justice. Mellencamp’s imagery thus takes its inspiration from the same sources as his music: the struggles of the working man and woman, oppressive authority and social struggle. And like his music, the paintings are carefully composed through the structural requirements of harmony, rhythm and order. The exhibition title conveys how John must essentially isolate himself, using the silence to summon images and manifest his voice. Read more about the 80 years of Advocacy for American Art on the ACA Gallery Website and read the complete press release on Mellencamp.com. The Official Mellencamp.com Store has the merchandise from the Plain Spoken Tour. If you haven't checked out the store lately, we have a new design, larger photos, and easier navigation. New items include a MELLENCAMP hoodie, jewlery, posters, t-shirts and more! There are always great sale prices on past merch too! CHECK IT OUT! great news that John is coming back to Australia....will there be any New Zealand dates? I am a little confused - on the resale info it says tickets on sale 7pm ET, but when you click on it there are others times listed. What does 7pm ET mean? Sorry for my ignorance. I work full time and am on the road a lot so I need to be clear on the correct times. AUSTRALIA PRE-SALE UPDATE: We do not have confirmed start times for the pre-sale. The times currently listed on this page are place holders. Please check back the day before the pre-sale for updated times. IMPORTANT PRE-SALE NOTE: The Mellencamp.com Tour Date system runs on US Eastern Time. So all pre-sale times will be showing an ET time. In this case they also will show going on sale Monday Oct 19th, because when it is 10 AM local venue time in Australia, it will still be approximately 14 hours earlier than that in the US, so it will still be Monday evening in the US. Unfortunately the concert promoter this time has elected to go only with Australia shows. No New Zealand this time. We haven't been given the confirmed ticket limit for the AU presales, but we are expecting 8 to 10. Password shows up about 10 minutes before the presale starts. Here is more information about how our pre-sale works and helpful links. 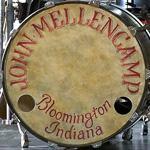 Step 1 - Register to become a free member of the Mellencamp.com Community through the COMMUNITY page on Mellencamp.com. Step 2 - Consult the details of your show on the TOUR page to see the date and time of your pre-sale. Click the blue information icon for complete details about your show. Step 3 - Return to Mellencamp.com the morning of your show's pre-sale and log into the website. Step 4 - On the TOUR page, approximately 10 minutes before the pre-sale begins, we will post a pre-sale ticket password ONLY for logged in members. You MUST REFRESH the TOUR page in your browser to see the password, it will appear in the column next to whichever show you choose. Step 5 - Click the link to go to the online ticket seller and enter the password where required to gain access to the pre-sale and then complete your purchase. TIP: We suggest you click the pre-sale tickets link for your show and pre-register with the ticket seller before our pre-sale begins to avoid any check out issues during your purchase. TIP: There are often other pre-sales for John's show. You might try to find and use the passwords from those pre-sales. Credit card companies, venues, tour promoters, ticket sellers often all have their own pre-sales separate from our Mellencamp.com offering. Typically there is a 4 ticket limit per Community Member per show (many shows on the 2015 Plain Spoken tour will have a 6 ticket limit). Our pre-sale has a limited number of tickets and will likely sell out. Tickets are first come, first served and there are no guarantees that you will get a ticket through our pre-sale. I got my tickets to the melbourne and both sydney shows - I splurged. Is anyone going to the brisbane or adelaide shows?